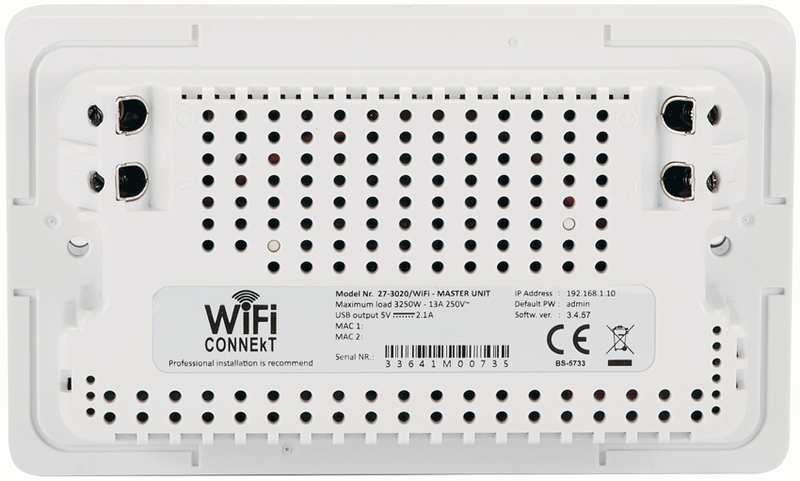 The WiFi CONNEkT Wall Socket Starter Kit features WiFi, Network Ports, Powerline Technology & USB Charging. Eliminate all your WiFi weak spots and network drops by utilising your existing electrical wiring to create a cost effective network. Access internet and share information throughout your home or small office. Simply, safely and securley. Powerline technology converts your existing electrical wiring circuit into a fast internet network. Using your existing power cables to transfer data eliminating the need to install additional network cabling. Fast & reliable home or office network made simple. 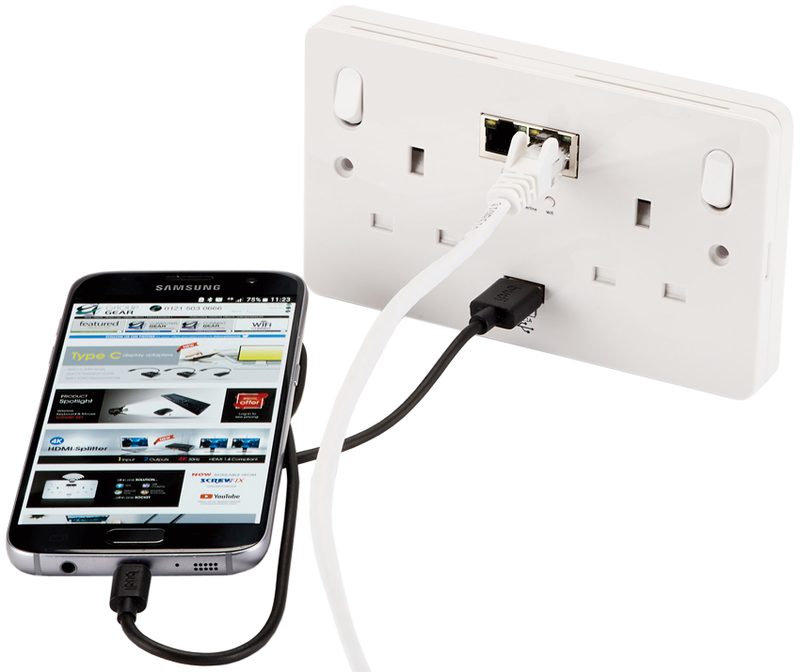 Create an internet connection using any double wall socket installed in your home or office. Connect your devices such as; Tablet PC’s, Smartphones, Computers, Printers, Games Consoles etc. to your network. Choose between a wired and or wireless network. Low degradation of connection or signal strength. Easily extend your network - simply install additional WiFi CONNEkT Add-On Sockets where necessary (Add-On Sockets are sold separately). Move from room to room without suffering signal drop. 2.4 GHz single band frequency. Each wall socket acts as a WiFi Extender/Repeater (SSID) or access point. Move around your surroundings without having to reconnect to the network or suffer a drop in signal. Add-On Sockets auto-detect each other. No drivers or lengthy configuration process. WEP, WPA-PSK/WPA2-PSK, 128 BIT AES Encryption, active security against unauthorised access for excellent network and data protection. Set-up using our easy to follow User Interface via a web browser. Access point functionality gives you complete control over your network accessibility. Name and password protect each socket. Full parental control includes WiFi time scheduling and bandwidth throttling. EN300328, EN301489, EN62311, EN50561, EN50412, EN55032, EN61000-3-2, EN61000-3-3 & BS5733. Complies with UK Building Regulations 2010 approved document M, Volume 2, Section 4.